My shorebird class had its field trip last Saturday. 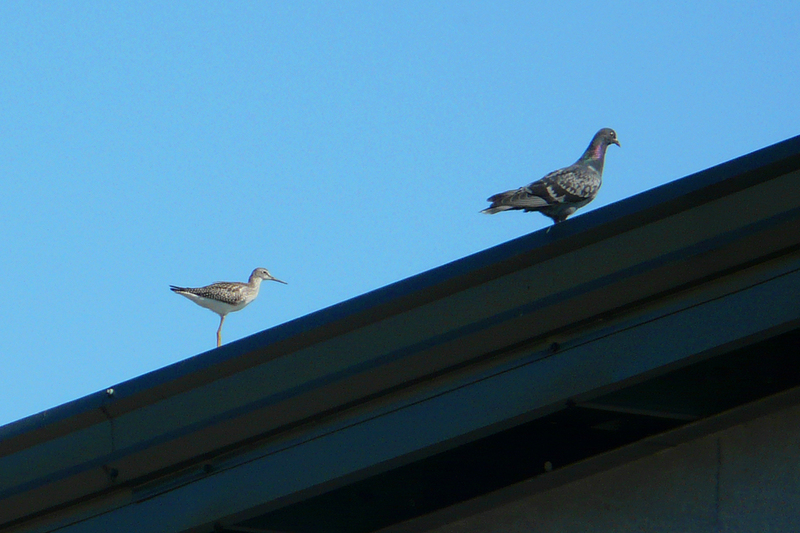 One of the more unusual sightings of the day was this Lesser Yellowlegs perching beside a Rock Pigeon on a metal roof. Perhaps the high perch provided a safe place from which to keep an eye on our group. This Greater Yellowlegs was using more typical habitat. 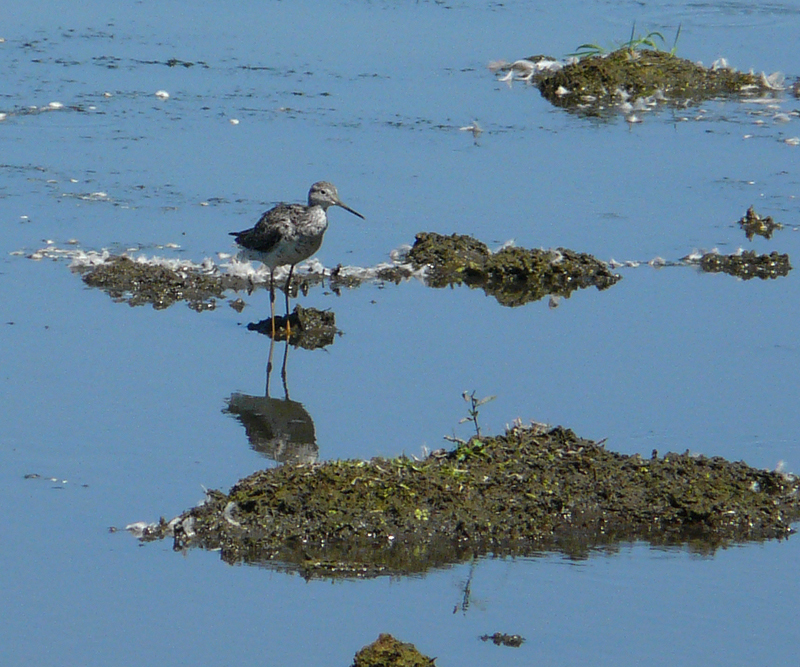 This entry was posted in behavior and tagged Greater Yellowlegs, Lesser Yellowlegs. Bookmark the permalink.